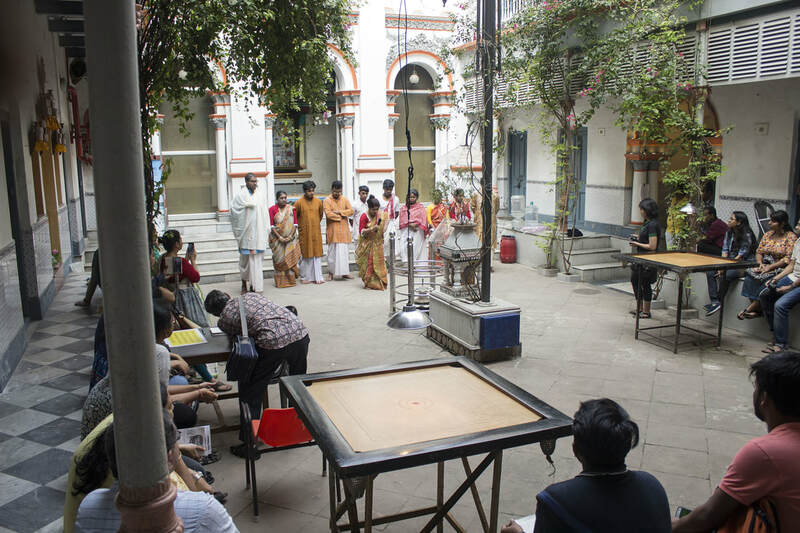 Chitpur Local is a socially engaged art project located on Chitpur Road, Kolkata, one of the city’s oldest and most diverse neighbourhoods. The project brings together artists and local students, residents and craft producers of the Battola neighbourhood of Chitpur Road, which is an erstwhile centre of printing, publishing, jewellery making, jatra and other popular art forms.Through collaborative projects that culminated in a public art festival every three years, Hamdasti aims to build new interactions, generate a dialogue about diverse local histories, and bring new visitors to the locality to build active engagement with the locality and reimagine it public spaces and local traditions. 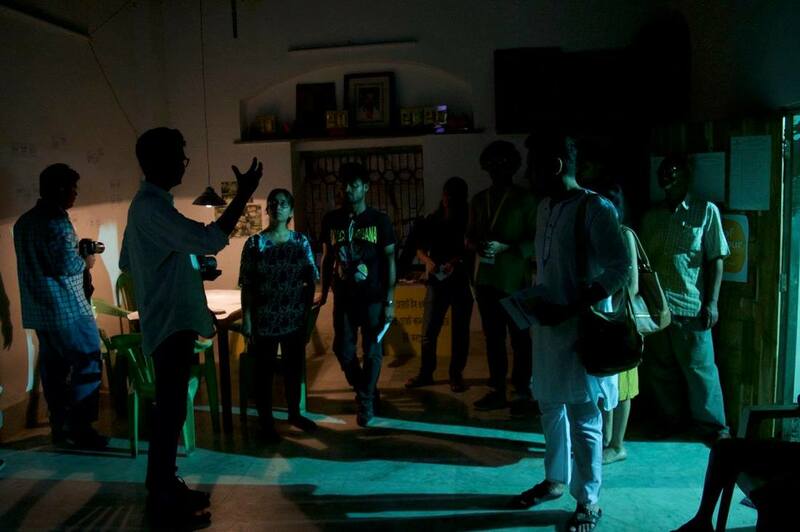 In the second edition of Chitpur Local, eight artists developed projects at Chitpur through collaborations with diverse local communities who came together to share their stories, and reveal different facets of their neighbourhood. 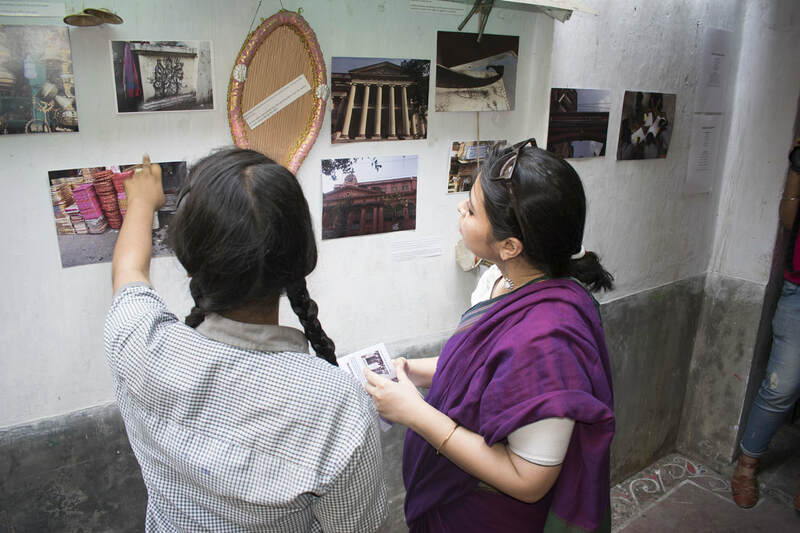 The projects featured interactive, public artworks that not only explored the many histories of Chitpur, but also addressed the critical issues of its present, and create a platform to create new imaginations for its future. 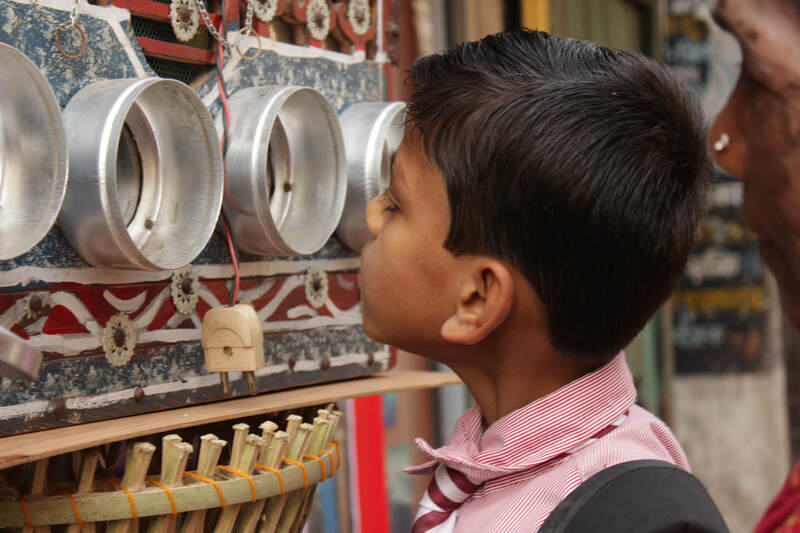 The projects were funded by the prestigious India Foundation for the Arts. Anuradha worked within the heritage homes of Chitpur to document the history of the dalans (courtyards) and imagined new ways to use these unique public-private spaces. Through a series of card games, Dipyaman worked with the leaders of local para clubs to question the relevance of conservation in the context of their lives today. Nilanjan has been working in collaboration with local printmakers to popularize local printing techniques. 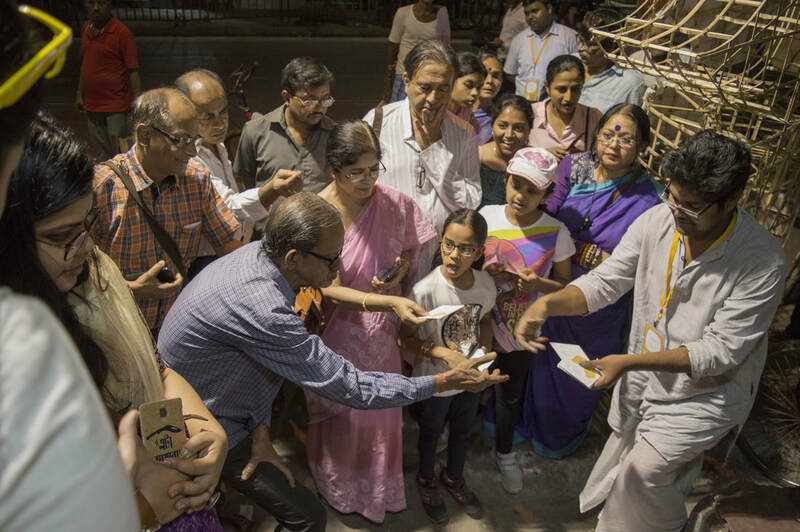 For the second edition of Chiptur Local he used print as a medium for people at Chitpur to map their diverse associations with the word Shona (Gold) and reveal some of the well-known as well as the unspoken aspects of the locality through this word play. Through a year-long process of workshops and walks Ruchira worked with a local school to reinterpret local history through the perspective of the girls and find way to help them connect to their neighbourhood’s heritage. Srota facilitated a series of addas (dialogues) that explored women’s identities and evolving understanding of beauty through matrimonial photographs shared by local women. These conversations were encapsulated in a peepshow that took the dialogue forward in public spaces. 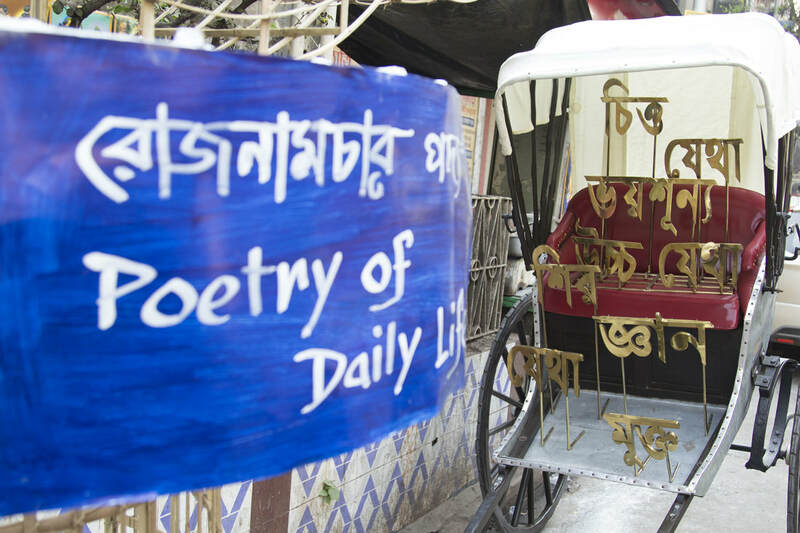 Suhasini has worked with Bholanath Das to reinvent the mundane commercial activity of making signage to that highlight the everyday beauty of the neighbourhood. 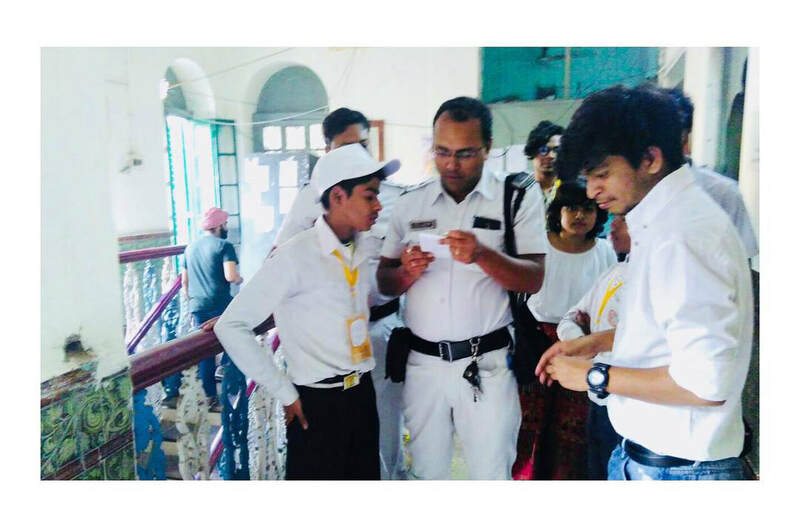 This project, created in collaboration with the local traffic police, unpacked the role of police in communities and brought together police, local communities and audiences, creating a space of play and activating the thana as an open public space.